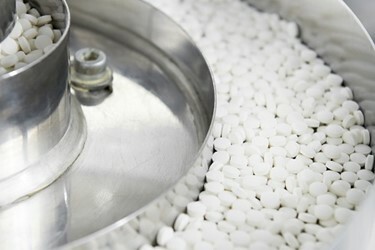 Segregation of powder and granular mixtures is a costly problem in the pharmaceutical industry. Most manufactured products are mixtures of several components. Often the ingredients in a mixture separate (segregate) during processing, resulting in an inconsistent final product. Understanding segregation and how it is related to drug development cost is at the heart of solving this issue and is the topic of this article. In the pharmaceutical industry, it is not uncommon for segregation issues to reduce the viable product created in a given batch to 70% of the total amount of material created (15% from the start and 15% from the end of the batch run). This is a significant loss of usable product and considerable revenue drain, especially since bulk drugs are often very costly. However, loss of usable product may not be the biggest cost factor resulting from segregation problems. Product segregation also leads to validation failure due to a presumed inability to control the process to create product with the required content uniformity (CU) range. These are serious issues and, if excessive, can ultimately prevent a product from coming to market. Delaying time-to-market results is a significant liability to pharmaceutical companies. Even a six-month delay in getting the drug to market could cost a pharmaceutical company over $1,000,000,000 ($1 billion).